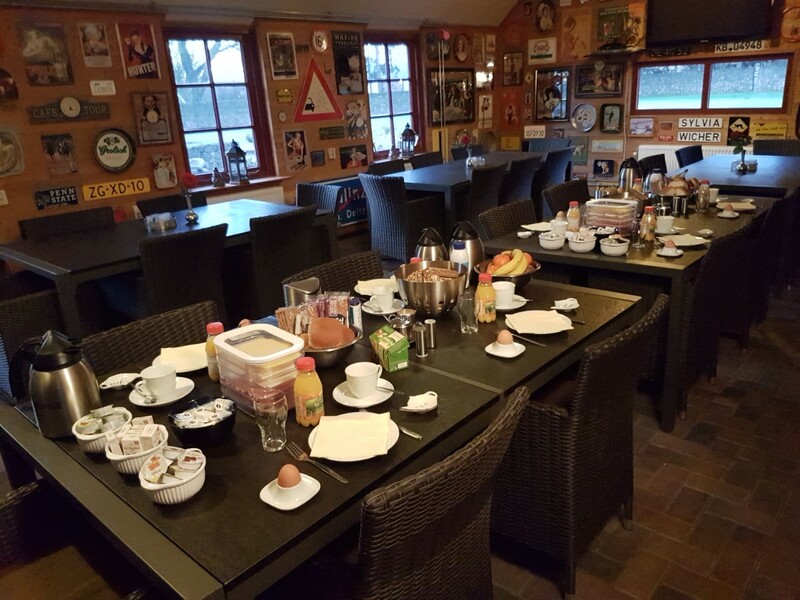 Are you looking for a campsite next to the city of Assen in a natural environment? 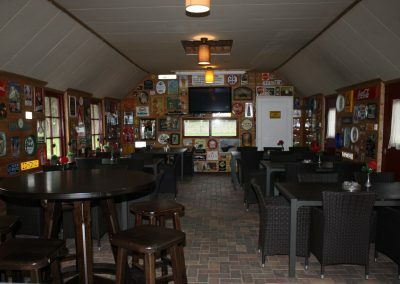 At Camping de Ommekeer you have arrived at the right destination. 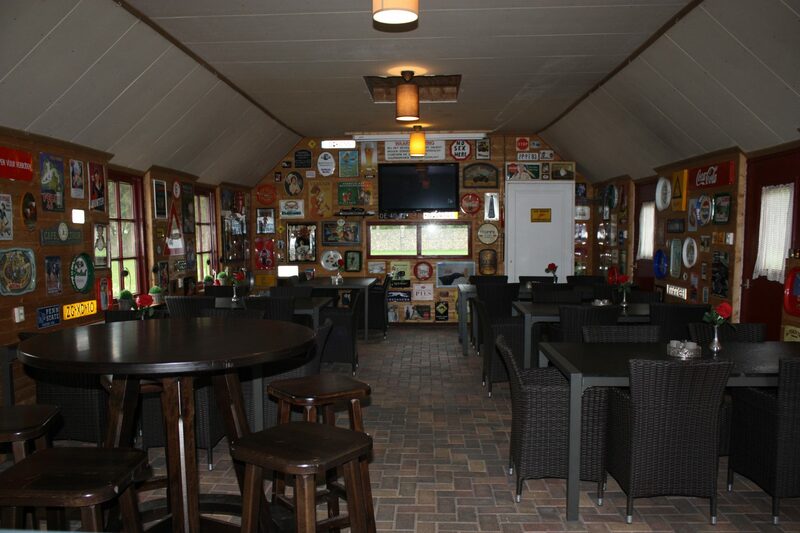 The small cozy campsite is on the edge of Assen and beautiful nature Drenthe. 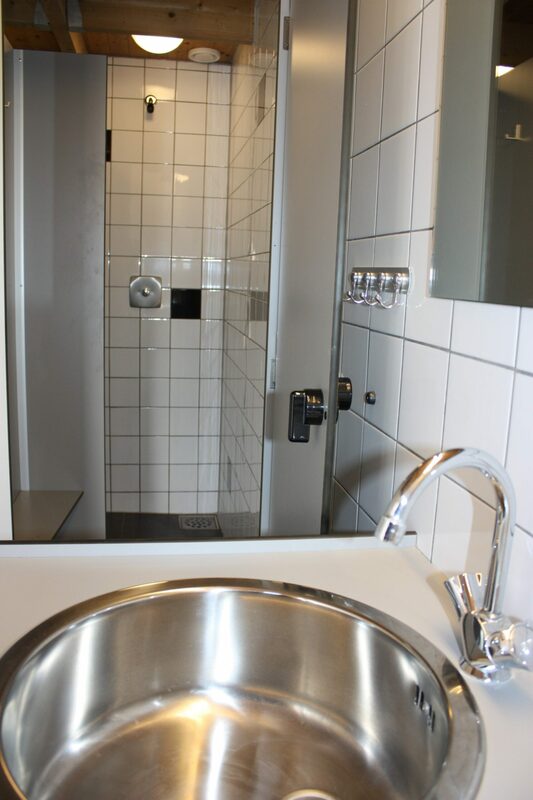 Ideally located for visiting the city and walking cycling in nature. 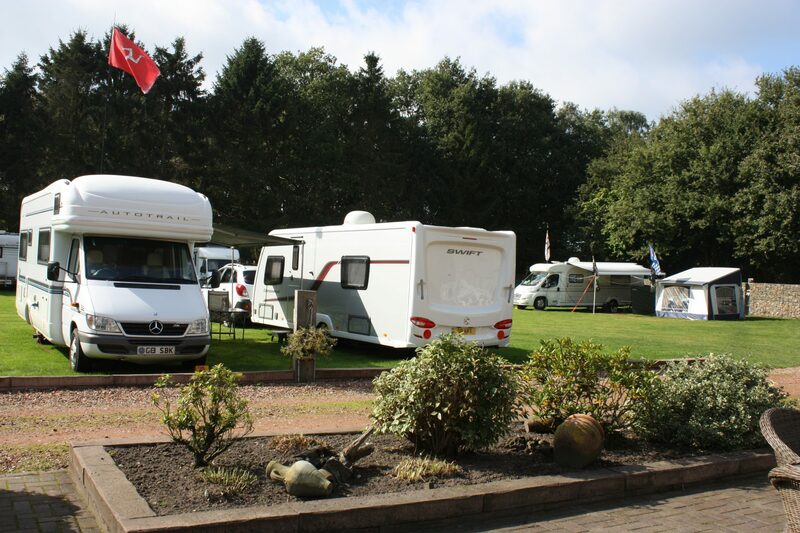 The campsite has comfortable facilities for a wonderful holiday with tent, caravan or camper motorhome. Directly behind the campsite is a recreational lake where you can swim, fish and canoe. 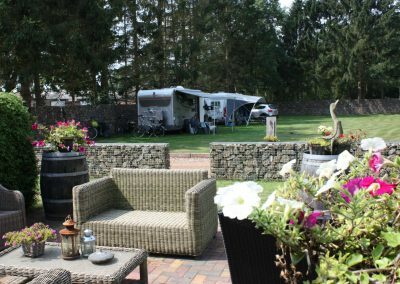 On our cozy, small campsite, you will find 25 camping pitches. 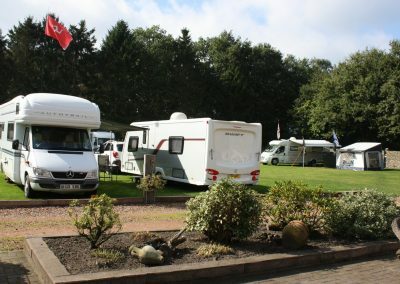 The pitches are about 100m2 and the car can be parked at the tent or caravan. 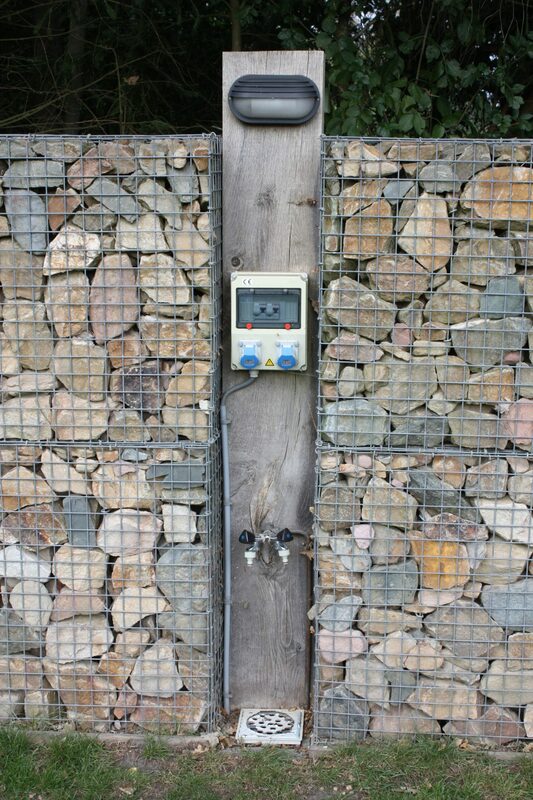 All pitches are equipped with electricity (16 Amps), water, drainage and lighting. 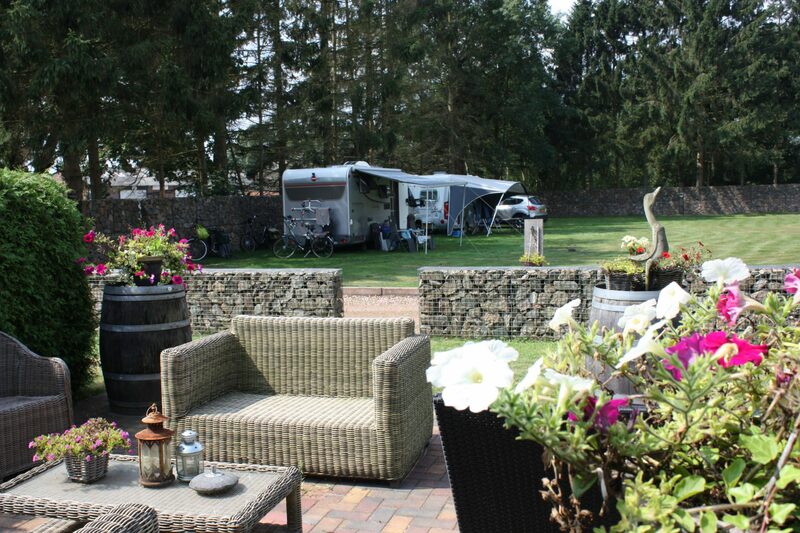 The campsite has comfortable facilities for a wonderful holiday with tent, caravan or camper. 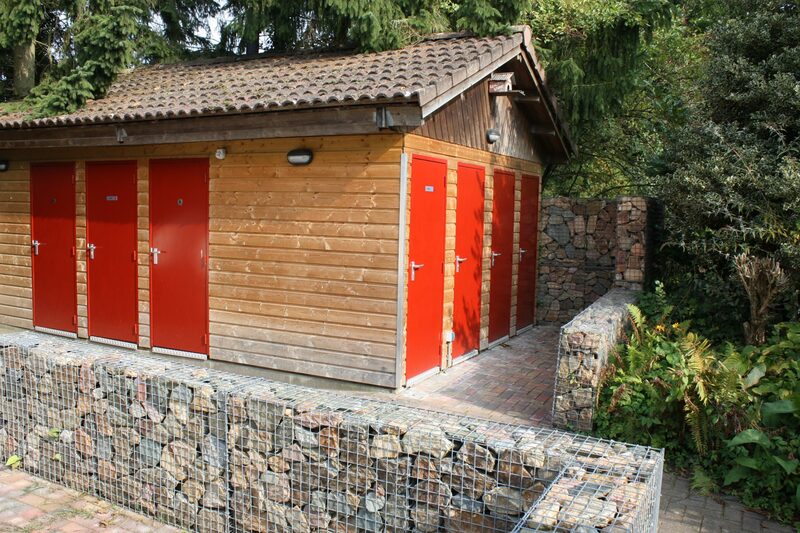 Directly behind the campsite is a recreational lake where you can swim, fish and canoe. 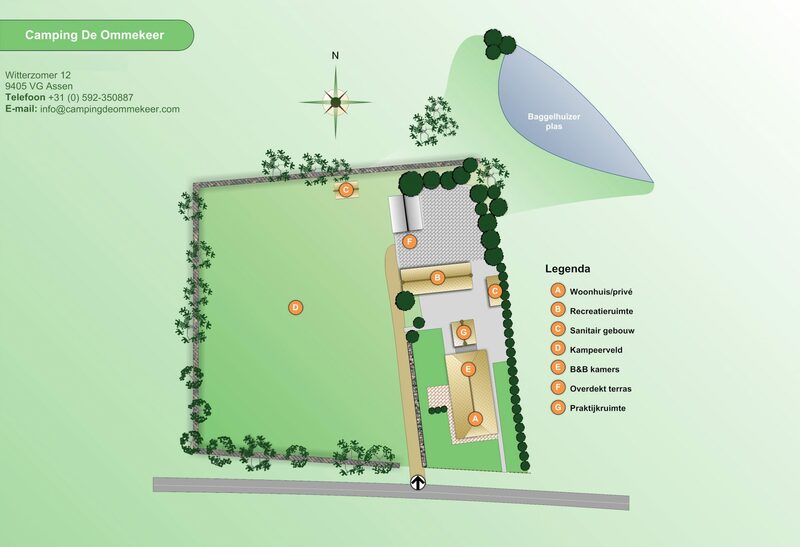 On our cozy, small campsite, you will find 25 camping pitches. The pitches are about 100m2 and the car can be parked at the tent or caravan. 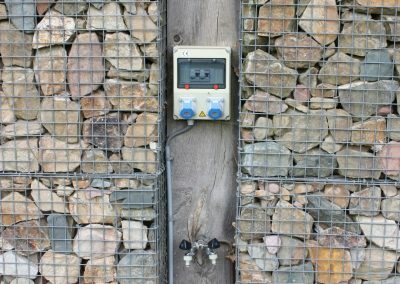 All pitches are equipped with electricity (16 Amps), water, drainage and lighting. Free so no fuss with coins. Neat washing place for the dishwasher. 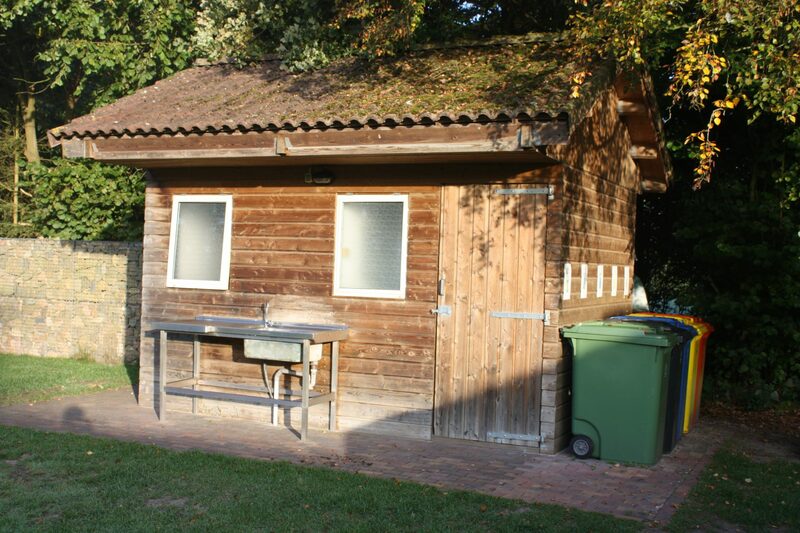 On the campsite you will find a cozy furnished recreation room with TV and a large covered terrace with picnic benches. A free Wifi connection is available for internet users. Pay attention! During the major events of the TT circuit Assen different rates apply! Prices mentioned are inclusive of vat. You can check in from 12 pm on the booked date. Check-out must be done before 12 am on your departure day. Consultation about these times is possible.